This is a live blog from the College Station City Council’s workshop and regular meetings on Thursday, Nov. 13. It’s not the official minutes. What is a Suburban Commercial zoning district? 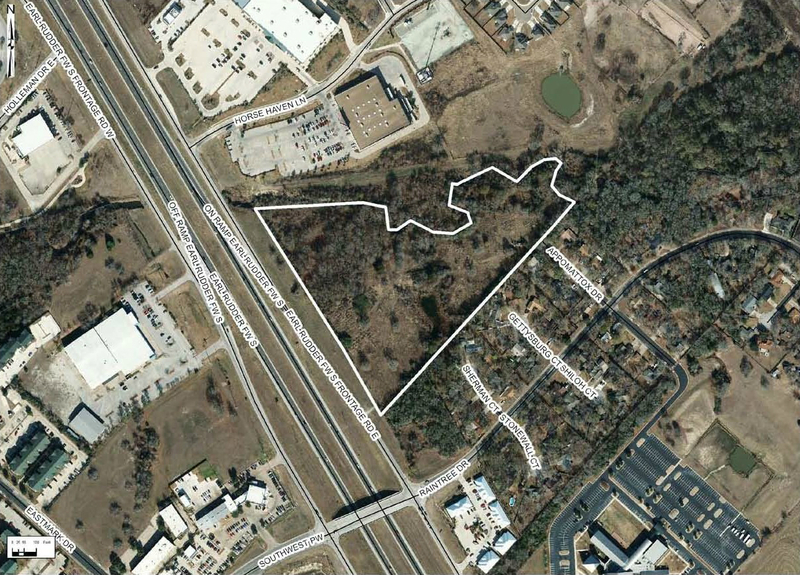 The long-vacant property on Earl Rudder Freeway between the Academy store and the Raintree subdivision recently was rezoned as Suburban Commercial. If you aren’t familiar with that zoning classification, allow me to fill in the details. With extensive community involvement, the City of College Station adopted its Comprehensive Plan in 2009. One role of the Comprehensive Plan is to create what I like to call a “blanket” of future or preferred land uses, future street network and infrastructure. Imagine it as the skeleton for zoning and development in our community.